Nasir al-Wuhayshi is the U.S.-designated emir (leader) of al-Qaeda in the Arabian Peninsula (AQAP) and deputy leader of al-Qaeda.“Designations of al-Qa’ida in the Arabian Peninsula (AQAP) and Senior Leaders,” U.S. Department of State, January 19, 2010, http://www.state.gov/r/pa/prs/ps/2010/01/135364.htm; “Nasir al-Wuhayshi,” Berkley Center, accessed May 19, 2015, http://berkleycenter.georgetown.edu/people/nasir-al-wuhayshi. According to Yemeni security forces, Nasir al-Wuhayshi was killed by a U.S. drone on June 15, 2015. Tweets from AQAP sources confirm that al-Wuhayshi has been “martyred,” and will be succeeded as head of AQAP by military commander Qasim al-Raymi.“Top al Qaeda leader reported killed in Yemen,” CNN, June 15, 2015, http://www.cnn.com/2015/06/15/middleeast/yemen-aqap-leader-killed/index.html. Al-Wuhayshi was appointed emir in November 2008 by then-deputy leader of al-Qaeda Ayman al-Zawahiri.“Five Key Members of AQAP,” Stephen Kurczy, Christian Science Monitor, November 2, 2010, http://www.csmonitor.com/World/Middle-East/2010/1102/Five-key-members-of-Al-Qaeda-in-Yemen-AQAP/Nasir-al-Wuhayshi-head-of-AQAP. Al-Wuhayshi oversaw the 2009 merger of the Yemeni and Saudi al-Qaeda branches that formed AQAP.Gregory D. Johnsen, “A Profile of AQAP’s Upper Echelon,” Combatting Terrorism Center, July 24, 2012, https://www.ctc.usma.edu/posts/a-profile-of-aqaps-upper-echelon. In 2013, he was chosen by al-Qaeda leader Ayman al-Zawahiri as deputy of al-Qaeda.“Nasir al-Wuhayshi,” Berkley Center, accessed May 19, 2015, http://berkleycenter.georgetown.edu/people/nasir-al-wuhayshi. The U.S. Department of State designated al-Wuhayshi as a Specially Designated Global Terrorist in January 2010.“Designations of al-Qa’ida in the Arabian Peninsula (AQAP) and Senior Leaders,” U.S. Department of State, January 19, 2010, http://www.state.gov/r/pa/prs/ps/2010/01/135364.htmi. He is believed to operate out of Yemen. Wuhayshi was born in southern Yemen in 1976.Gregory D. Johnsen, “A Profile of AQAP’s Upper Echelon,” Combatting Terrorism Center, July 24, 2012, https://www.ctc.usma.edu/posts/a-profile-of-aqaps-upper-echelon. 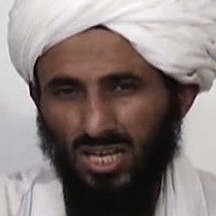 After becoming in thrall to a radical interpretation of Islam during his study at a private religious institute, al-Wuhayshi ventured to Afghanistan to join al-Qaeda.Gregory D. Johnsen, “A Profile of AQAP’s Upper Echelon,” Combatting Terrorism Center, July 24, 2012, https://www.ctc.usma.edu/posts/a-profile-of-aqaps-upper-echelon. In Afghanistan, al-Wuhayshi entered the confidence of bin Laden and served as his personal secretary for a number of years.Gregory D. Johnsen, “A Profile of AQAP’s Upper Echelon,” Combatting Terrorism Center, July 24, 2012, https://www.ctc.usma.edu/posts/a-profile-of-aqaps-upper-echelon. After the U.S. invasion of Afghanistan following September 11, 2001, Wuhayshi made his way to Iran where he was arrested.Gregory D. Johnsen, “A Profile of AQAP’s Upper Echelon,” Combatting Terrorism Center, July 24, 2012, https://www.ctc.usma.edu/posts/a-profile-of-aqaps-upper-echelon. Wuhayshi was extradited to his native Yemen, where he escaped and began to establish what would become al-Qaeda in the Arabian Peninsula (AQAP).Gregory D. Johnsen, “A Profile of AQAP’s Upper Echelon,” Combatting Terrorism Center, July 24, 2012, https://www.ctc.usma.edu/posts/a-profile-of-aqaps-upper-echelon. Abu BasirGregory D. Johnsen, “A Profile of AQAP’s Upper Echelon,” Combatting Terrorism Center, July 24, 2012, https://www.ctc.usma.edu/posts/a-profile-of-aqaps-upper-echelon. Nasir al-Wahishi“Designations of al-Qa’ida in the Arabian Peninsula (AQAP) and Senior Leaders,” U.S. Department of State, January 19, 2010, http://www.state.gov/r/pa/prs/ps/2010/01/135364.htmi. Nasser al Wahishi“Five Key Members of AQAP,” Stephen Kurczy, Christian Science Monitor, November 2, 2010, http://www.csmonitor.com/World/Middle-East/2010/1102/Five-key-members-of-Al-Qaeda-in-Yemen-AQAP/Nasir-al-Wuhayshi-head-of-AQAP. Nasser al-WahashiGregory D. Johnsen, “A Profile of AQAP’s Upper Echelon,” Combatting Terrorism Center, July 24, 2012, https://www.ctc.usma.edu/posts/a-profile-of-aqaps-upper-echelon. The U.S. Department of State designated “Nasir Al-Wahishi” as a Specially Designated Global Terrorist on January 19, 2010.“Designations of al-Qa’ida in the Arabian Peninsula (AQAP) and Senior Leaders,” U.S. Department of State, January 19, 2010, http://www.state.gov/r/pa/prs/ps/2010/01/135364.htm. Nasir al-Wuhayshi is the U.S.-designated emir (leader) of al-Qaeda in the Arabian Peninsula (AQAP) and deputy leader of al-Qaeda.“Designations of al-Qa’ida in the Arabian Peninsula (AQAP) and Senior Leaders,” U.S.
“All praise is due to Allah, the Lord of the Worlds, Allah has blessed us with effective operations against the transgressing Americans and we ask Allah to grant us more… All of the branches of al-Qa‘idah have succeeded in powerful operations against the Americans and the latest is the car bomb in New York. The different branches have good competition in fighting the Americans and their allies. All of them want to win the race of destroying the idol (i.e., America) and to have the greatest share in that effort.”“Interview with Shaykh Abu Basir: the Head of al-Qa’idah in the Arabian Peninsula,” Inspire Magazine 1 (2010): 13-17. “All praise is due to Allah, the targeting of Muhammad bin Nayif was part of our effort to purify the Arabian Peninsula from the traitors. He and his ilk are the ones who allowed the Americans to set base in the Peninsula of Islam, playing the role of Abu Ruqal in its worst forms. He is an American in the clothes of an Arab. If it wasn’t for these traitors, the American airplanes wouldn’t have bombed Iraq and Afghanistan from the airports of Kharj and Riyadh and others, and if wasn’t for them, the Jews wouldn’t have remained in Palestine for more than sixty years.”“Interview with Shaykh Abu Basir: the Head of al-Qa’idah in the Arabian Peninsula,” Inspire Magazine 1 (2010): 13-17. “All praise due to Allah. America is the one forcing us to target it. These heinous crimes which the human soul rejects such as the cartoons of the Messenger and holding celebrations and awarding those who curse the Prophet require us to target the Americans. In fact they require us to wipe them out of the map completely. America is a cancer that needs to be removed along with the West that is supporting this criminal behavior and are banning the niqab of the chaste and pure Muslim women.”“Interview with Shaykh Abu Basir: the Head of al-Qa’idah in the Arabian Peninsula,” Inspire Magazine 1 (2010): 13-17. “Allah will give us victory against [the Americans] and what America awaits in the coming days is greater and worse than what has passed by the will of Allah.”“Interview with Shaykh Abu Basir: the Head of al-Qa’idah in the Arabian Peninsula,” Inspire Magazine 1 (2010): 13-17.